The American FootGolf League introduced the sport of FootGolf in North America in 2011. 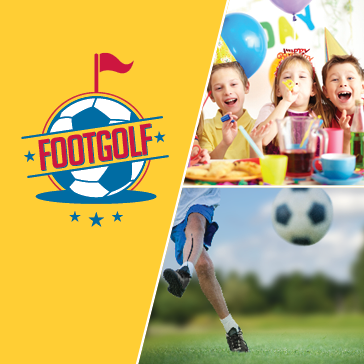 Footgolf is a combination of soccer and golf. Footgolf is played with a regulation No. 5 soccer ball at a golf course facility on shortened holes with 21-inch diameter cups. This new, upcoming sport is a lot of fun! The rules largely correspond to the rules of golf. FootGolf as a game is played throughout the world in many different forms, but as a sport, it is regulated by the Federation for International FootGolf (FIFG). 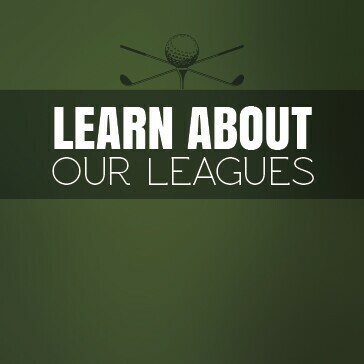 The American FootGolf League (AFGL) is the exclusive member of the FIFG and governing body for the sport of FootGolf in the United States.The AFGL is organizing tournaments throughout the country working with golf courses to bring FootGolf to their clubs as another avenue for revenue and to develop the game further. Lake Ridge Golf Course was excited to announce in Spring of 2014 it was the D.C. Metro areas first certified FootGolf course by the American FootGolf League (AFGL)! 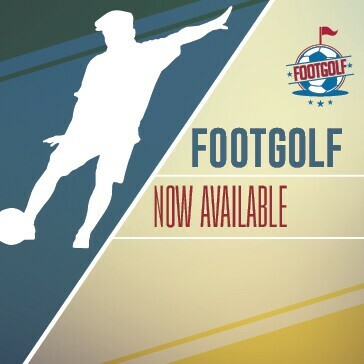 FootGolf may be played at Lake Ridge Golf Course seven days a week, after 12pm! The cost is $10 per person for 9 holes with a replay rate of $6 for an additional 9 holes. Rental soccer balls are $3 each, but you may bring your own to use. Soccer cleats are NOT permitted on the course, you must wear a flat-bottomed shoe, regular tennis shoes or sneakers are allowed. Cleats of any kind are NOT allowed on the course. You must use a flat-bottomed shoe, indoor soccer shoes are recommended. Pace of play – Please keep pace with the group ahead of you. Slower groups are suggested to allow faster groups to play through. Confirm that your ball is easy to identify against other player’s balls in your group. Review the scorecard to recognize the hole layout and pin locations. Make sure your kick will not interfere with other FootGolf players or golfers. The ball must be played in a single movement or kick. Your foot should be set separate from the ball, clearly behind, before the kick (no "flicking" the ball). Wait until the ball as completely come to rest before kicking again. Stopping the ball from rolling is not permitted. Kick off from a position up to two yards behind the tee markers. The order is determined by the score of the previous hole. The player with the best score will be the first to kick followed by the second, etc. Play the ball from where it lies. If your ball comes to rest on the regular golf green, move it to where it entered the green at no stroke penalty. This is to preserve the golf greens. Continue to kick the ball until you have kicked the ball into the hole. The total number of kicks used is your score for the hole, compare to the par for each hole. Fun for all ages and skill levels. 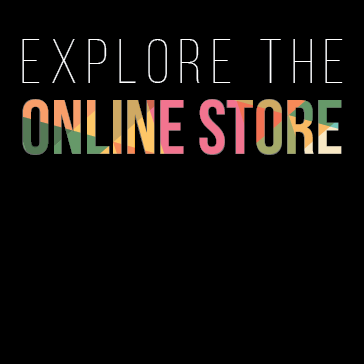 Customizable to meet your needs. Call us today for more information, 703-494-5564!